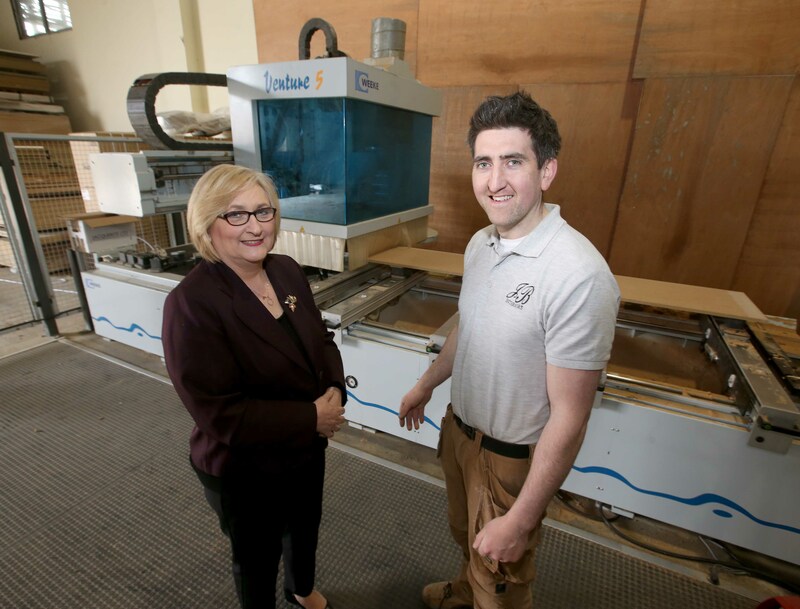 Foreglen-based joinery manufacturer, JB Interiors LTD, is the latest business to successfully avail of Funding for a business growth project under the NI Rural Development Programme 2014-2020. The programme is managed by Causeway Coast and Glens Local Action Group and JB Interiors Ltd applied to the programme’s Rural Business Investment Scheme which allows new and existing businesses to apply for grant assistance on projects that can deliver growth and create jobs. JB Interiors LTD was awarded £29,950 to fund a project that will enhance their manufacturing capability for commercial projects. The funding has assisted with the purchase of a CNC Router, Compressor and Dust Extractor which are all now operational at their manufacturing facility. Funding Workshops are taking place in June 2018 in advance of Call 6 for the Rural Business Investment Scheme opening in July 2018. For more details contact 028 7034 7016.